Check out this article in Berkeleyside about the new parklet on Solano Avenue! We are so excited! There is very little public space on Solano Avenue. The parklet will have seating for about 25 people. 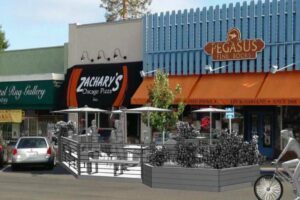 The parklet will help reduce some of the traffic safety concerns on Solano Ave. The parklet beautifies the street! Two parking spaces are being added across the street from the theater building. There is NO NET LOSS of PARKING on Solano Avenue. It is Berkeley’s fourth parklet and is a part of the city’s pilot parklet program. 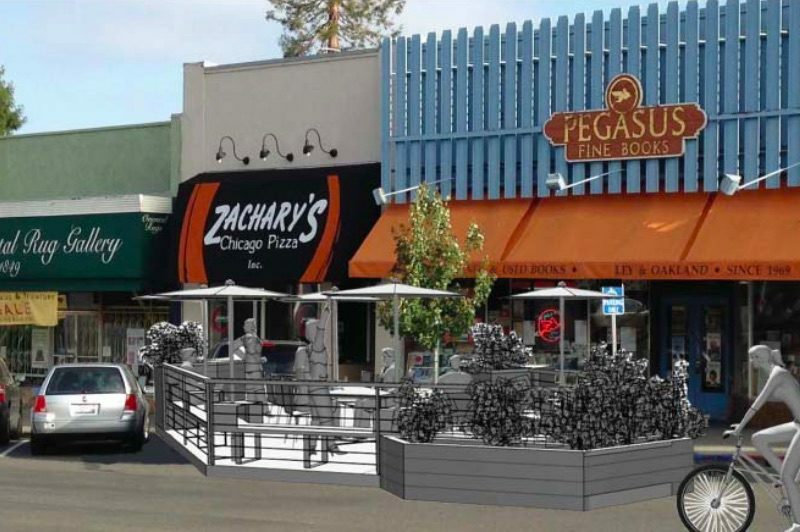 Zachary’s will not serve food on the parklet because it is a public space. Customers are more than welcome to order food to go and eat it on the parklet (when construction is complete! ).